Fashion, Football, F1 GrandPrix is what comes to mind while thinking of Barcelona. 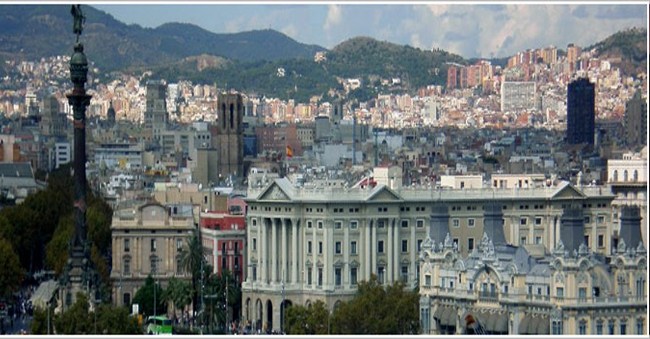 Capital of Catalonia in Spain Barcelona is the second populated and port city of Spain. Barcelona being founded by the Romans has many heritage UNESCO sites within its vicinity. It is well connected with the France and Rest of Europe with Port, Railways and road. Catalonia became a significant part of Count of Barcelona. In 12th century Barcelona succeeded as chief Mediterranean ports. Since 18th century the growth and prosperity of the city took pace. Spanish Railway was built in 1848.In 1992 Barcelona had the privileged moment across world by holding Olympic Games. Contemporary Barcelona is an enriched tourist destination having abundant of treasure temptations. The beautiful consequences of this crowning attraction make million eyes go rolling around Barcelona. Barcelona present emerged as world renown and influential hub of fashion, art, education, sparking nightlife and a tempting tourist phenomenon. Barcelona calls a huge chunk of crazy holiday makers every year.